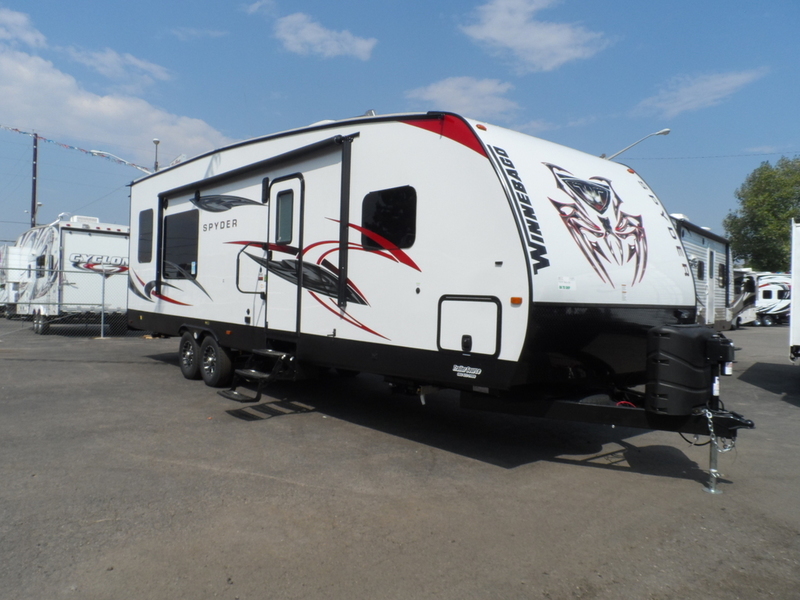 2016 Winnebago Spyder 28SC, BE ADVENTUROUS AND GET A TOY HAULER! 2016 Winnebago Spyder 28SC Your Ticket to Adventure The all-new SPYDER toy hauler from Winnebago Towables offers a well-balanced list of standard equipment and upgrades to fit your traveling needs. 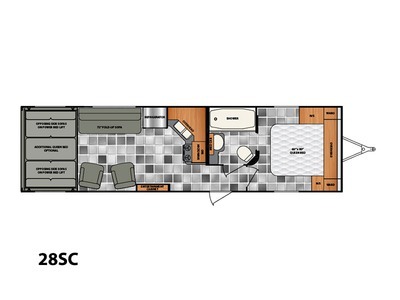 Choose from four functional floorplans and enjoy space-maximizing standard features including the barreled ceiling for extra height, a full, 54 residential shower, walk-around queen bed, and built-in toolbox. Make yourself at home with the available Rockford Fosgate® stereo system, a stainless steel appliance package, and an upgrade to an electric queen bunk in the garage area. 2016 Winnebago Spyder 28SC, BEST IN CLASS SPYDER BY WINNEBAGO! DON'T BUY ANOTHER TOY HAULER UNTIL YOU SEE WINNEBAGO! EXCLUSIVELY AT TRAILER SOURCE! 2016 Winnebago Spyder 28SC Your Ticket to Adventure The all-new SPYDER toy hauler from Winnebago Towables offers a well-balanced list of standard equipment and upgrades to fit your traveling needs. Choose from four functional floorplans and enjoy space-maximizing standard features including the barreled ceiling for extra height, a full, 54 residential shower, walk-around queen bed, and built-in toolbox. Make yourself at home with the available Rockford Fosgate® stereo system, a stainless steel appliance package, and an upgrade to an electric queen bunk in the garage area.